While I was on maternity leave I was given a copy of two new books. First, the Research Foundation, from Experience Early Learning. 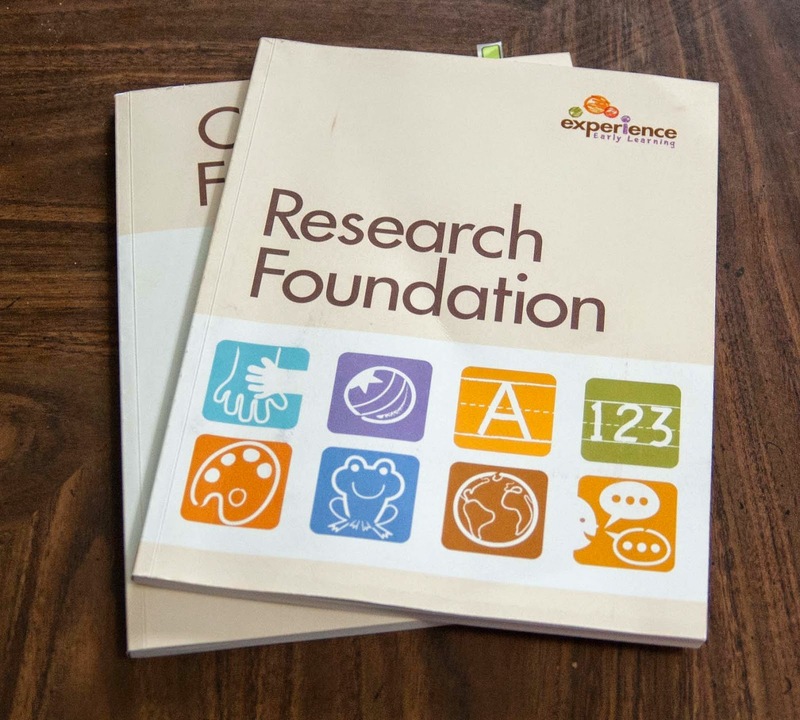 This book, lays out the research and studies that are used as a foundation for all Experience Early Learning curricula, which includes Mother Goose Time. That may make it sound like a difficult and boring read, but I assure you, it is not. I flew through that book, enjoying every section and tying it to what I have seen in my children. 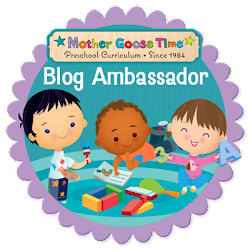 I have been using Mother Goose Time for a year now. It is a super easy curriculum to use. But I have to admit, I was kind of using it at surface level. I never delved deep into my understanding. Now that I understand the research behind the curriculum, I can better asses where my children are at in their development. Understanding the assessment system is not so we can test them to see if they are making the grade. Mother Goose Time is not about that at all. It's more about observing them more deeply, so we can respond accordingly. That way, we, as the teacher, can take them from where they are, and guide them along to the next benchmark. After all, if you don't know where you are, how do you know which direction to head? So here is a synopsis of what I now know. First of all, the little square illustrations by each activity, in the Lesson Plan Book represents one of the 8 domains. These are the skills and learning goals that have been grouped together. The skills and learning goals that have been summarized from the many studies that have been done on early childhood development. 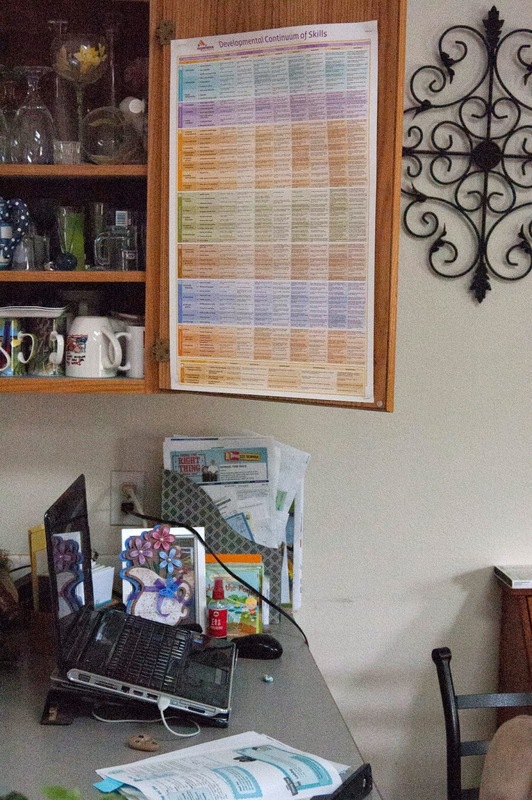 This is where I hung our Developmental Continuum of Skills poster in our home. On the inside of the cupboard door just above my computer so I can reference it while I write. With in these 8 domains there are goals, 33 to be exact. Stemming from these goals are benchmarks. This is all clearly laid out on their Developmental Continuum of Skills poster. Down the side they have the 33 goals listed, within the 8 domains. Then across the top are the benchmarks, starting at Benchmark A (infant) and ending at Benchmark H (Primary). Each benchmark has a statement, stating an example of what a child would be able to do if they are at that benchmark. So you can read the statement and think, hmm, Lachlan can totally do that, or Lachlan's not quite there yet. They actually have Child Progress Monitoring Reports you can fill out to get a really good picture of where your child is at. But if you aren't into documentation, you can simply asses and reflect to get a deeper understanding in your mind. I hope to add a new element to my blogging. In each post, I would like to pick at least one activity from the Lesson Plan Book, and delve deeper into my assessment of the Skills listed. 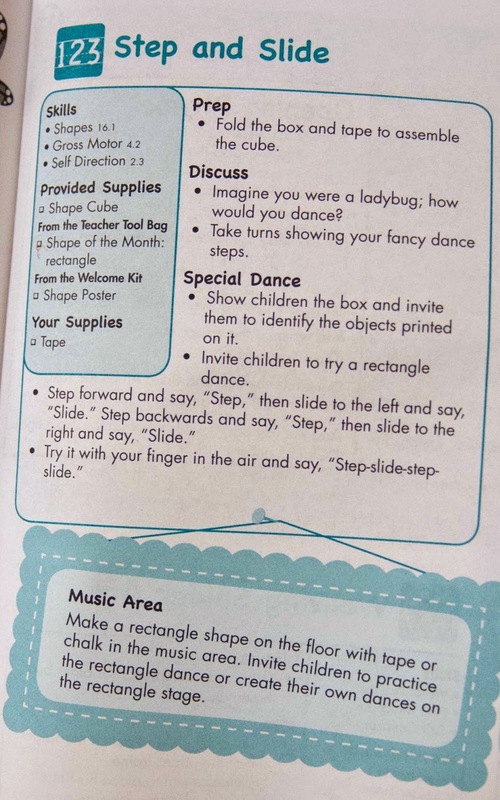 For instance, for the Step and Slide activity in which we learned to dance in a rectangle (Day 1 of Bugs and Crawling Things), 3 skills were listed. First the main domain that was targeted was Mathematics and Reasoning. The skills were, Shapes 16.1, Gross Motor 4.2 and Self Direction 2.3. It's those numbers after each skill that are key. They take you directly to one of the 33 goals where you can assess which benchmark your child is at. Shapes 16.1 simply says, Identifies Shapes listed as the goal. Lachlan would probably fall at Benchmark D: Identifies four to six basic geometric shapes. Lachlan can probably identify more than that, but the next Benchmark states: Describes basic and complex two and three dimensional shapes using own words. He is pretty good at describing two dimensional shapes, he can look at and count how many sides a triangle has, but doesn't necessarily know that a triangle has three sides with out looking. He is not very familiar with three dimensional shapes at all. So now I know these are areas to work on to get to the next benchmark. The idea will be to have a paragraph, similar to the one above, included in each post. This will be mostly for my benefit, so I can develop this new skill of assessing and reflecting and I can get to know the 33 goals a little better. However, I do hope this will also help you delve deeper into your understanding of this amazing curriculum.